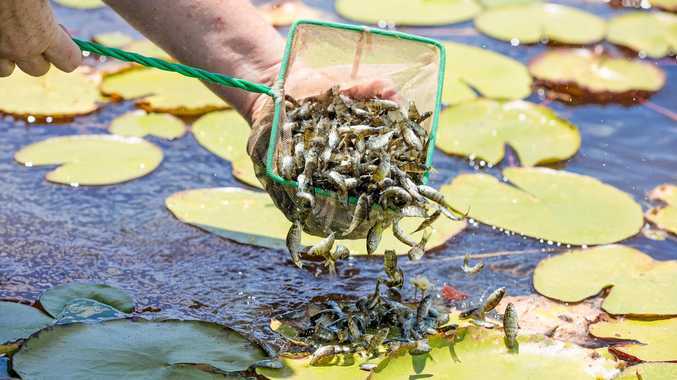 FIVE dams in the Somerset and Scenic Rim regions will be bolstered with a share of three million native fish fingerlings. Lake Dyer at Laidley, Moogerah Dam, Somerset Dam, Wivenhoe Dam and Maroon Dam at Rathdowney are among 15 across southeast Queensland to benefit. "Baby barramundi, Australian bass, golden perch and Murray cod are among the iconic species finding new homes to ensure South East Queensland continues to enjoy some of Australia's best freshwater fishing," Mr Furner said. "Many of our native fish are reluctant to breed in dams and weirs, but Queensland's permit scheme ensures reeling in the catch-of-the-day is enjoyable and sustainable." The Stocked Impoundment Permit Scheme will fund local fishing groups tasked with releasing the fingerlings. More than 43,000 recreational fishers have taken out a permit for Queensland's 63 stocked dams and weirs with 75% of the $1.067 million from permits returned to fish stocking volunteers.